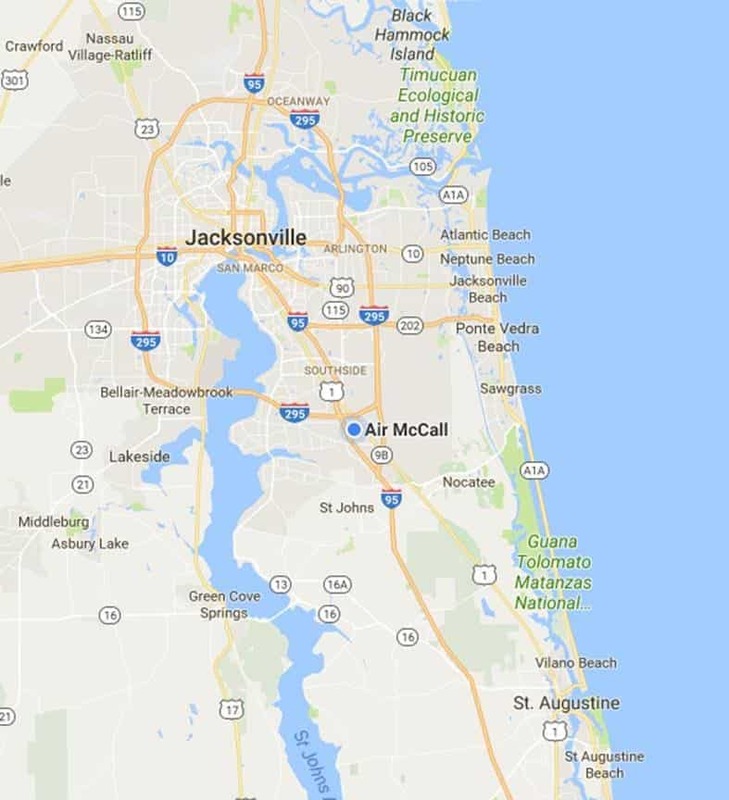 Air McCall has been the premier provider of HVAC services in North St. Augustine, FL, for nearly three decades. We have highly skilled and honest technicians that can offer you the best services at competitive and fair prices. Heating and cooling service and repair does not have to be prohibitively expensive. Air McCall’s specialists can assist you in deciding the best course for your family’s heating and cooling needs well within your budget. Call Air McCall for all your heating and cooling requirements. We are the most reliable and trusted HVAC company in North St. Augustine, FL. With its hot and humid climate, air conditioning is essential in the North St. Augustine area. Do not let your family suffer because of a faulty air conditioning unit that fails to perform when you need it the most (you don’t want to have to deal with your mother or father in law on that one do you?!). We can help you with affordable solutions for all your air conditioning servicing, repair, and installation needs. We work closely with our customers to determine the most cost effective plan of action for their air conditioning requirements. Air McCall’s expert technicians are available round the clock to ensure that your A/C unit is in peak condition and is not adding unnecessarily to your electric bill. Give us today to schedule a convenient appointment to service your air conditioning unit. Air McCall offers services for all types of furnace and heat pump repair! If your heat pump or furnace is working optimally, it can keep your electric bill down as well as ensure that the quality of the air in your home is pure! We are the most reliable heating service and repair service providers in North St. Augustine, FL. Call us now and speak to one of our stellar technicians to find the most cost-effective solution for your home heating needs. Florida is the Sunshine State, and it lives up to its reputation with an average of 2,900 hours of sunny weather each year. Specifically, North St. Augustine is subtropical and humid climatic region. This means that it remains warm and dewy for most of the time. St. Augustine has an average high temperature of 79°F (26°C) annually while the average low temperature is 61°F (16°C) over the year. The summers generally become hot in St. Augustine, and temperatures usually peak in July. June, July, and August are the hottest months of the year. The average highs in summer in the St. Augustine area are in the upper 80s and low 90s (you don’t want you’re A/C failing you during this time of the year). The rainy season in this area lasts from May to October, and the dry season runs from November to April.